For some reason, this year I am more drawn to our planet than before. 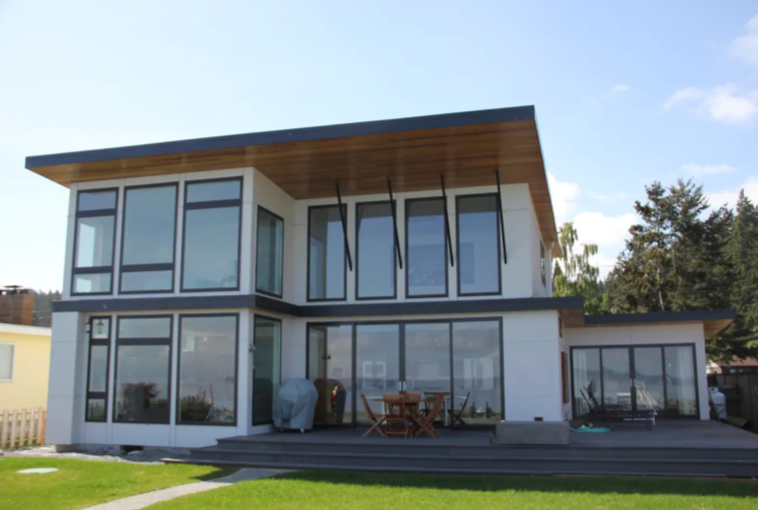 Perhaps it’s a bit of inspiration from a client who is striving to remodel their house into a passive home. 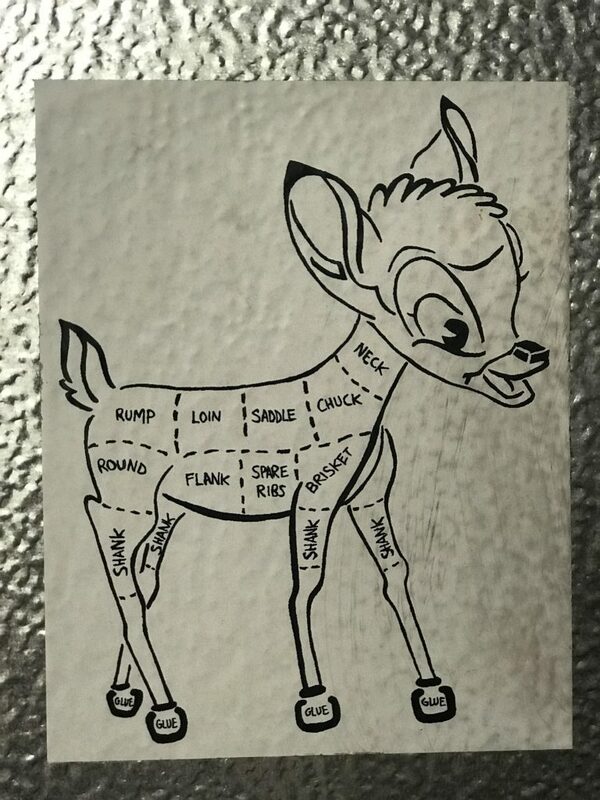 Perhaps it’s watching our 10-year-old daughter become more aware of her own surroundings, and just wanting to do our part to make our world a bit better for her. However, I find myself overwhelmed with how can one family make a global difference. 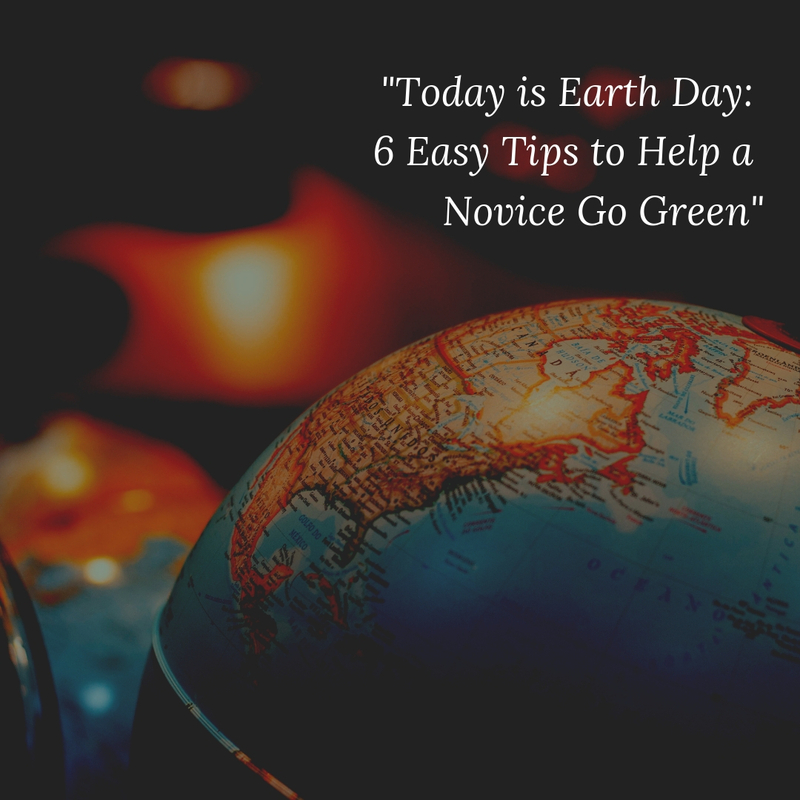 While I am no expert on climate change, more and more the idea of doing good for mother earth is becoming main stream. 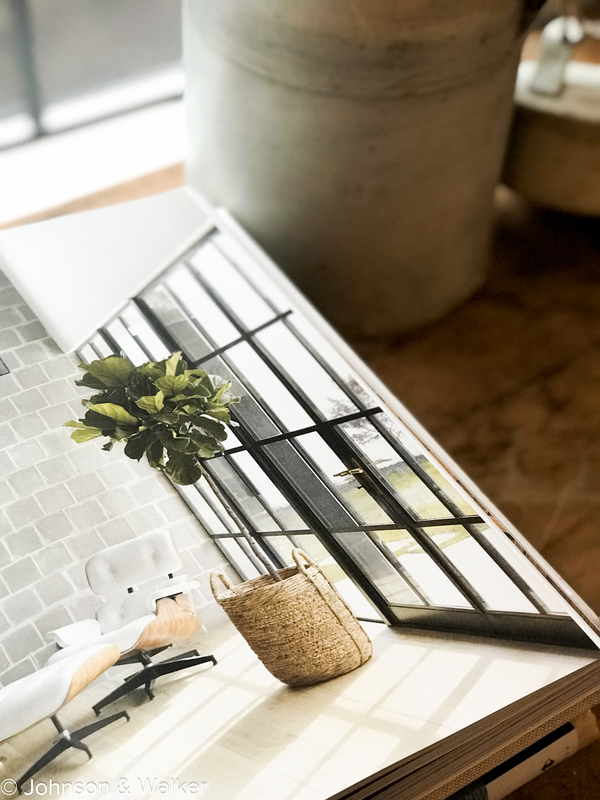 In addition to thoughts and perspectives, consumers now have much better ease of access to the materials that can help make a change. This has always been a difficult one for us. For years, switching houses to LED lighting meant buyers toured homes that felt like the last inquisition of bright light. But people, have you checked out the lighting aisle at Home Depot lately? There’s soft light, yellow light, dimmable light, 3 switch light, and everything in between all with LED technology. If nothing else, they last longer so you’re on a ladder much less frequently. Why LED? 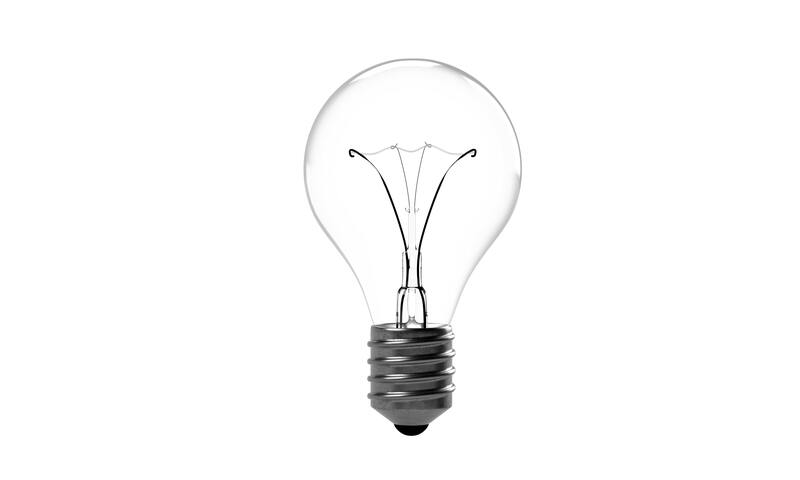 Simply put, they use 75% less energy than old school incandescent. Change them out every 3 months. 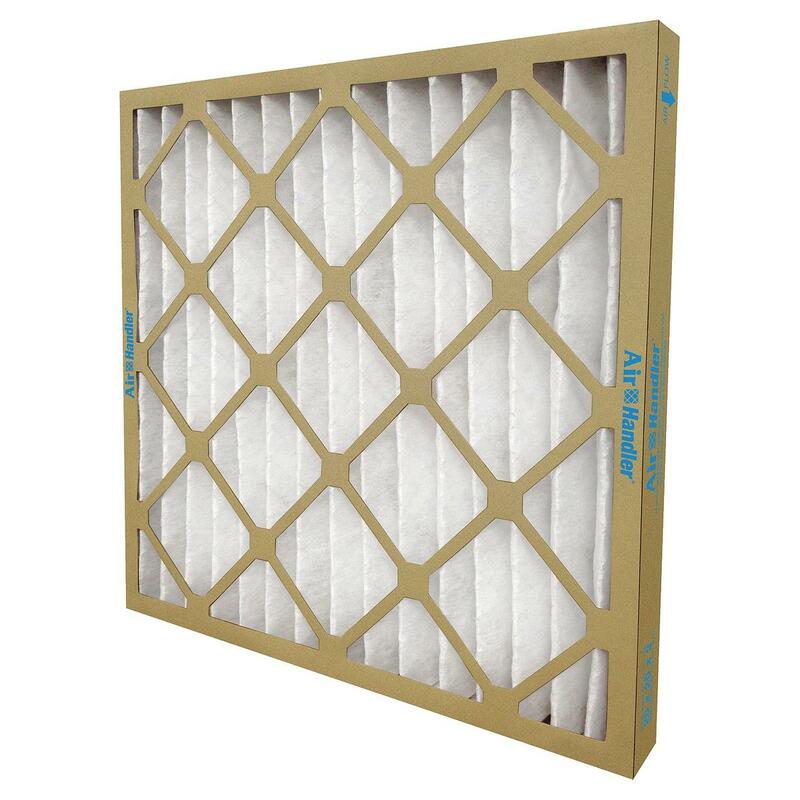 Dirty filters require your furnace to work much harder and use more energy. Wash clothes in cold water. Not only does it save energy, but it helps clothes (especially with color) last much longer. And it protects our jeans from the dreaded shrink. Most detergents work great even in cold water. 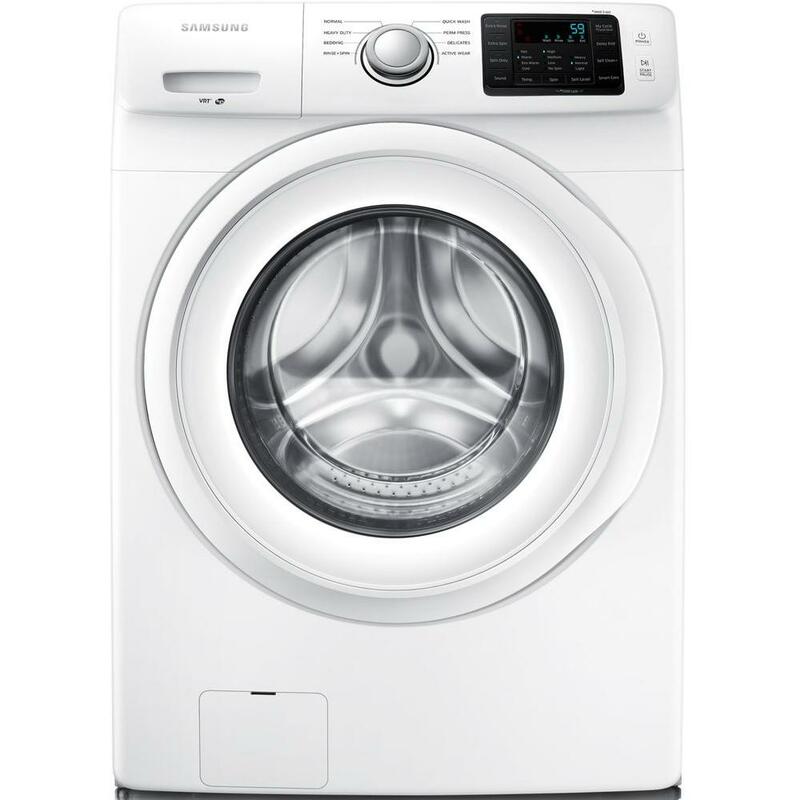 Just because an appliance isn’t on, doesn’t mean its not drawing power. But remembering to unplug after each use can be tedious. 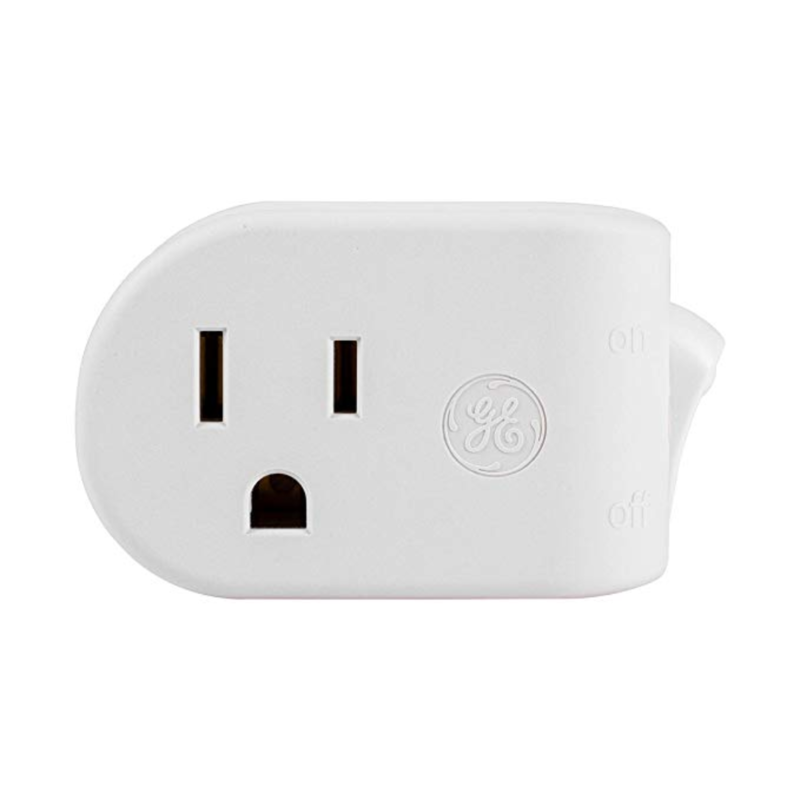 We love these GE plugs with on/off switches that can be used throughout the house without the efforts of pulling the plug so to speak. Consider programming your thermostat for 1 or 2 less degrees than you have been using. 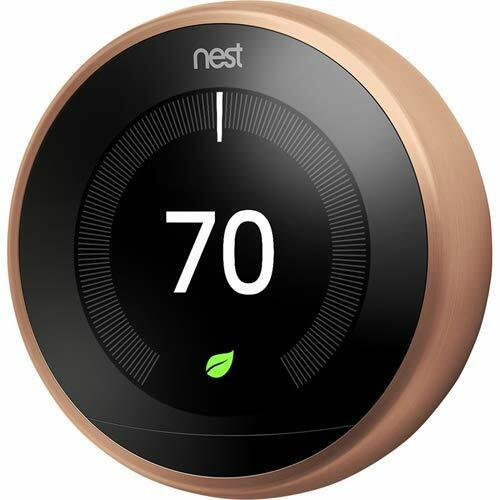 Or, replace your current thermostat with a learning product such as Nest. Away on vacation and forgot to turn down the heat? No worries, handle it from the touch of your phone. Ok, we admit it, this was not an easy transition for us. 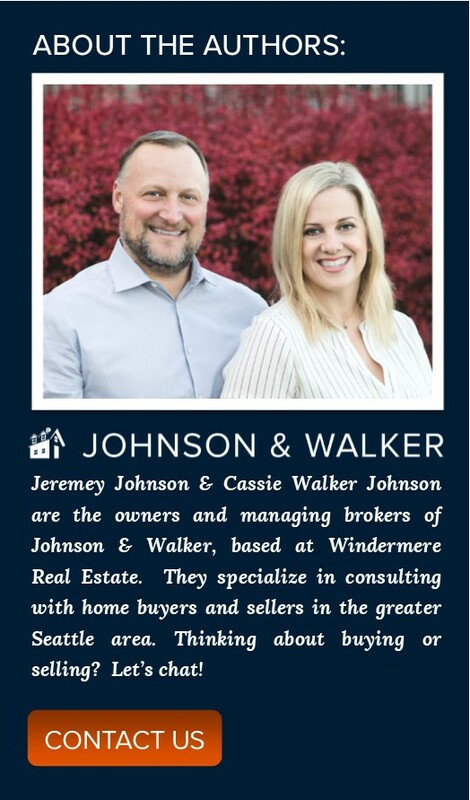 As real estate agents, the perception is that image is everything and your car really counts. But as we continue to rack up the gas bill, we have noticed a shift in mindset, both for ourselves and our community. 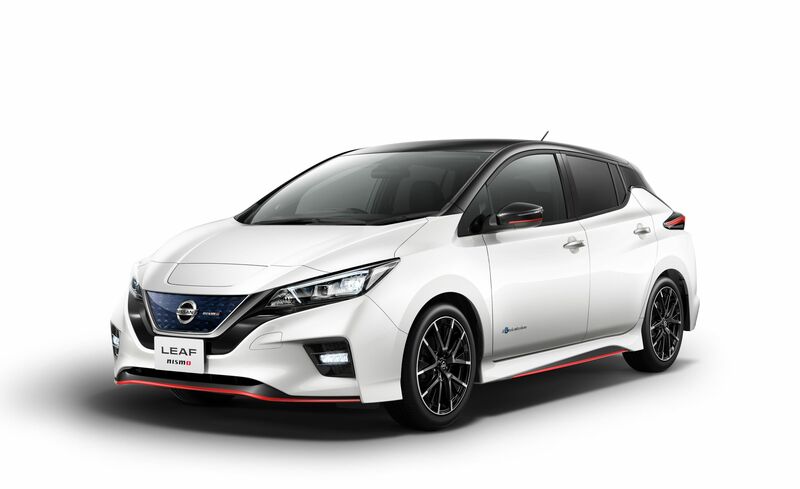 So, we replaced our large SUV with a Nissan Leaf! Of course, it’s still fully loaded with leather and heated seats, heated steering wheel and a rockin’ Bose sound system. But we were shockingly surprised at how much fun they are to drive, especially right past the gas station. Just as one would plug in their phone every night, we plug the car in for a full charge. 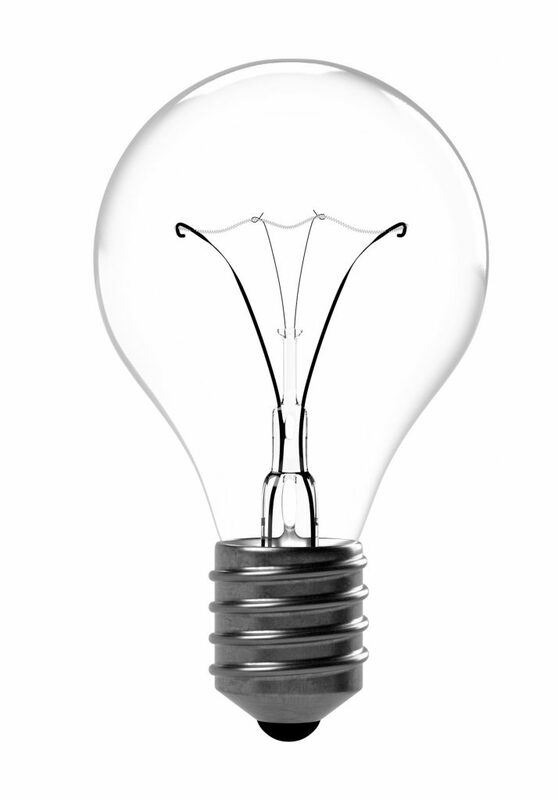 We are often asked how much our electricity bill increased, and we find it has averaged about an additional $20 a month. Which is a small price to pay in comparison with the cost of gas. While range anxiety gets the best of you in the beginning, I find I barely ever check the battery status anymore and just go about my day. You seriously should go test drive one today! We’d love to hear what small changes is your home making to help support change? We’d love to hear from you, share with us in the comments below. 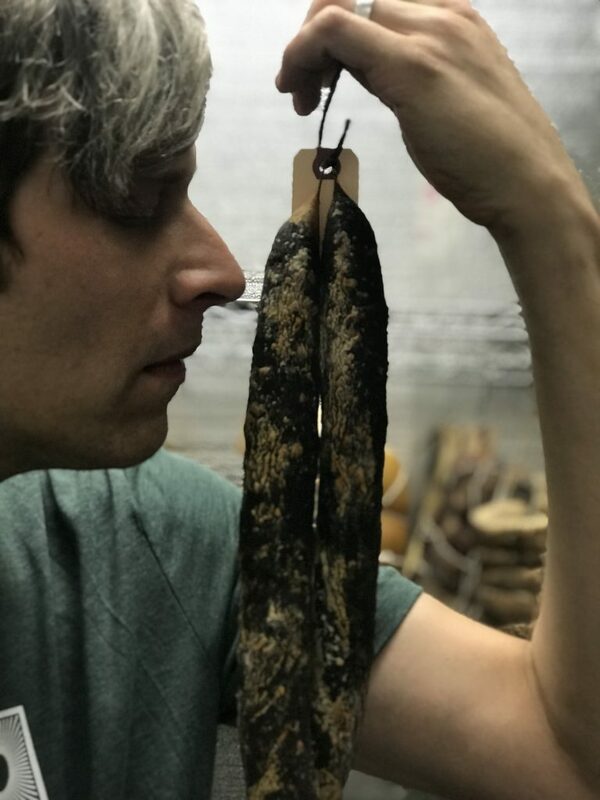 When rumors began to spread in the Maple Leaf neighborhood of Seattle that a deli was opening in the former Little Gym kids space, we were both intrigued and skeptical. 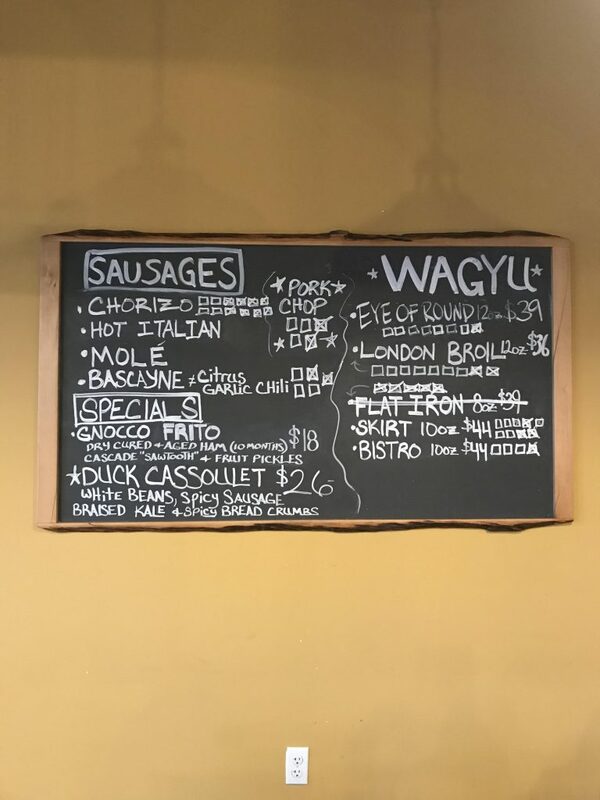 But one visit to this neighborhood bar and butcher and you understand why The Shambles and their tagline “When Deli Meats Bar” has become the hit of Northeast Seattle, filling tables to the brim, even on a random Tuesday night. But this hardly paints the picture of the The Shambles experience. 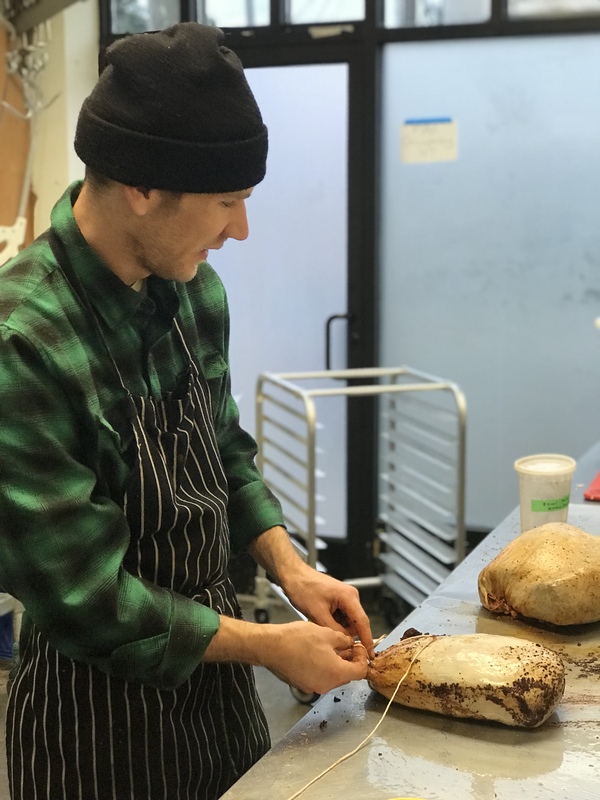 Owners Matthew Brady and Joel Klemenhaben, with backgrounds in food service and brewing, brought their concept together by hiring both a head chef and head butcher. 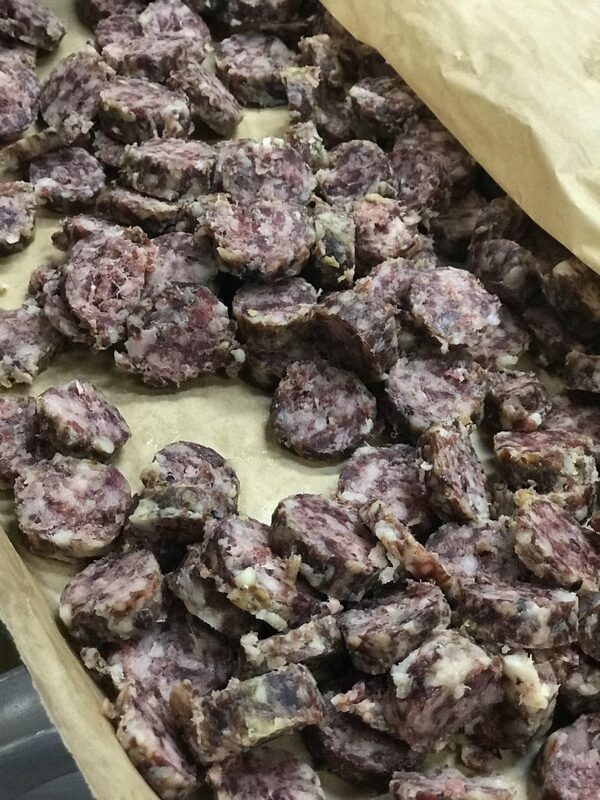 The result is a gastronomic success! 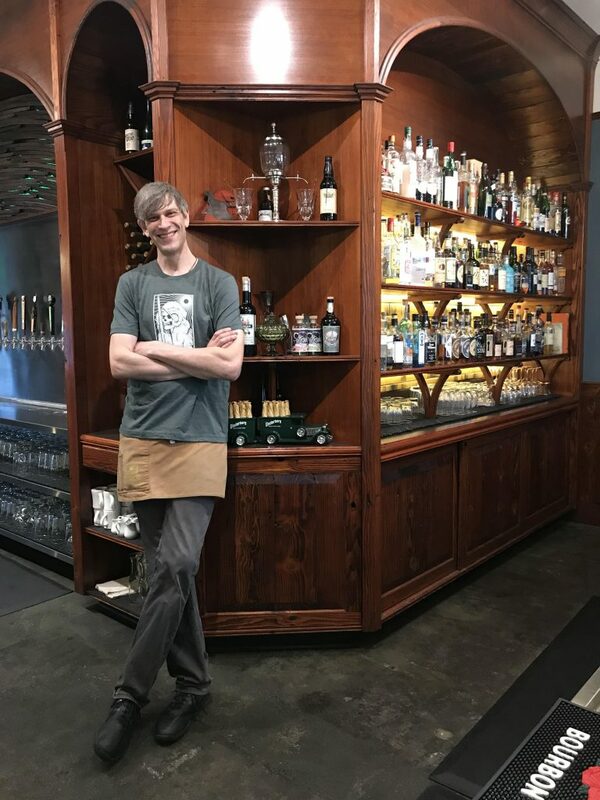 Complemented by 32 beers on tap, and one of the best cosmopolitans in town (from the infamous and somewhat surly bartender Robb Sheldon), the home-made meats are truly one of a kind. 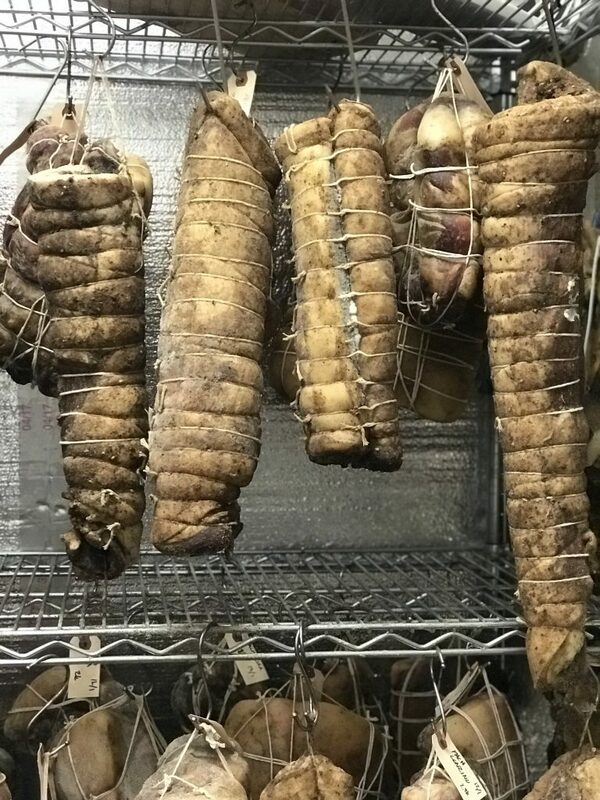 Concocted into various forms for consumption, one can find their favorite flesh smoked, cured, dried, raw, or transformed into a paté or salami. And now with their new launched meat counter, you can order a selection to enjoy at home as well. 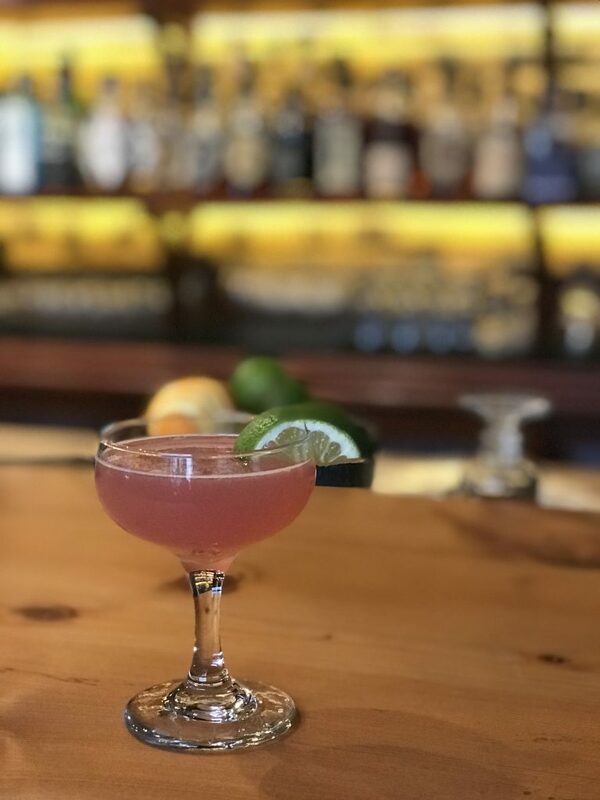 Dining in the restaurant is a great evening get-a-way, but make sure to book a sitter as it’s a 21+ establishment and arrive early as they have a no-reservation policy. Or better yet, join them for weekend brunch. We’d like to tell you what to order from the menu, but we simply can’t, as we have yet to have a poor meal. With a variety of items to pick from, even your vegetarian friends will enjoy their repas. 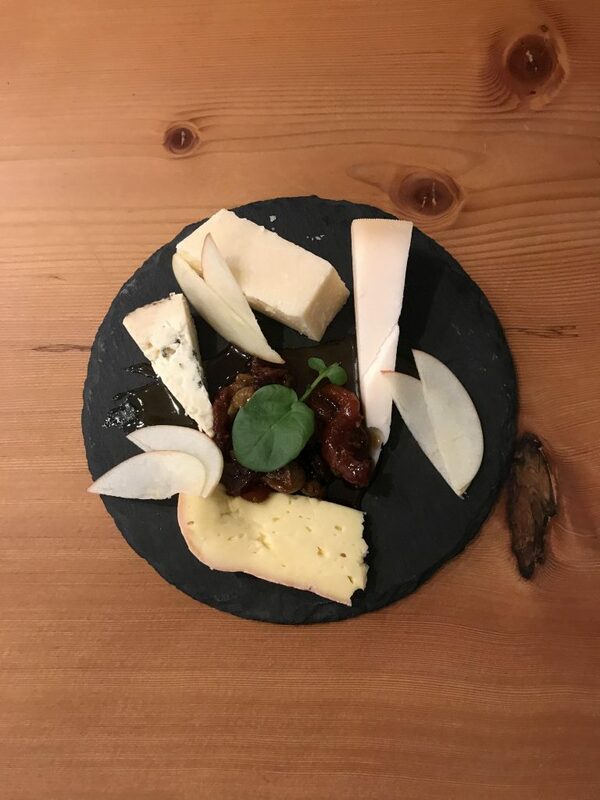 The Shambles’s much needed casual gourmet cuisine is a welcome debut in Northeast Seattle. For years I have proven to be a tried and true novice green thumb, never able to keep a plant alive. But after successfully keeping our human daughter alive for 10 years so far, I decided it was time to graduate to foliage. Like any Seattle native, my comfort zone is in grey. Various shades of cool, dreary grey. It has invaded both my wardrobe and our home. So the idea of adding colorful drapes or pillows is just too much of a commitment. 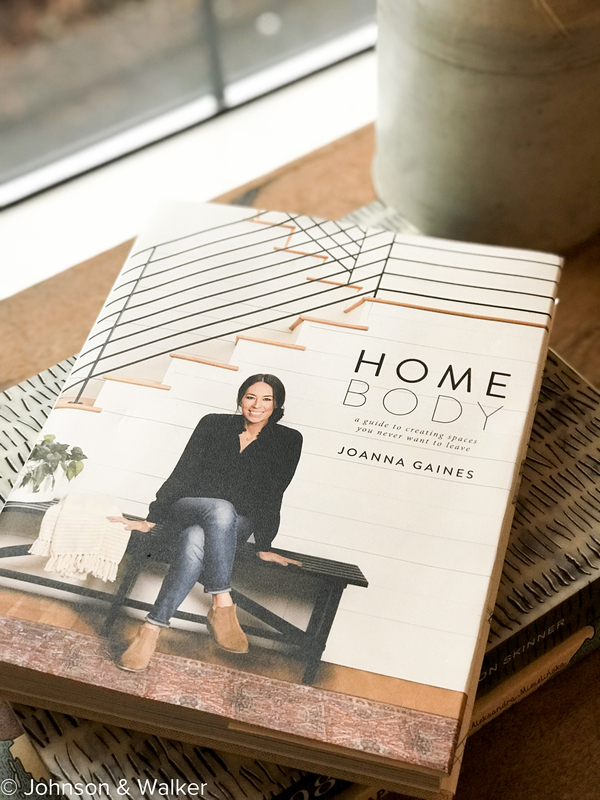 One day, as I was reading my BFF Joanna Gaines’ (a girl can only dream) new book Home Body, and I noticed a continual trend that lay in the pages of my new bible. Plants! 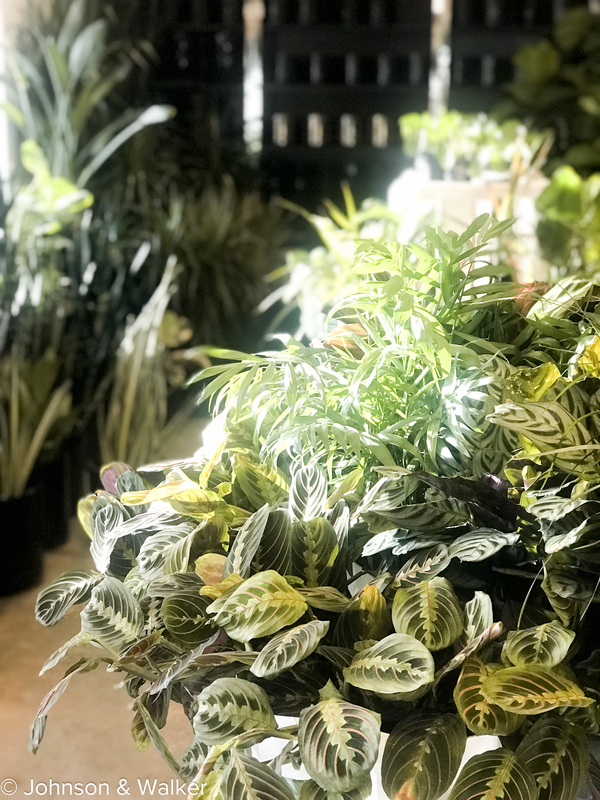 Green, lush, large foliage plants. 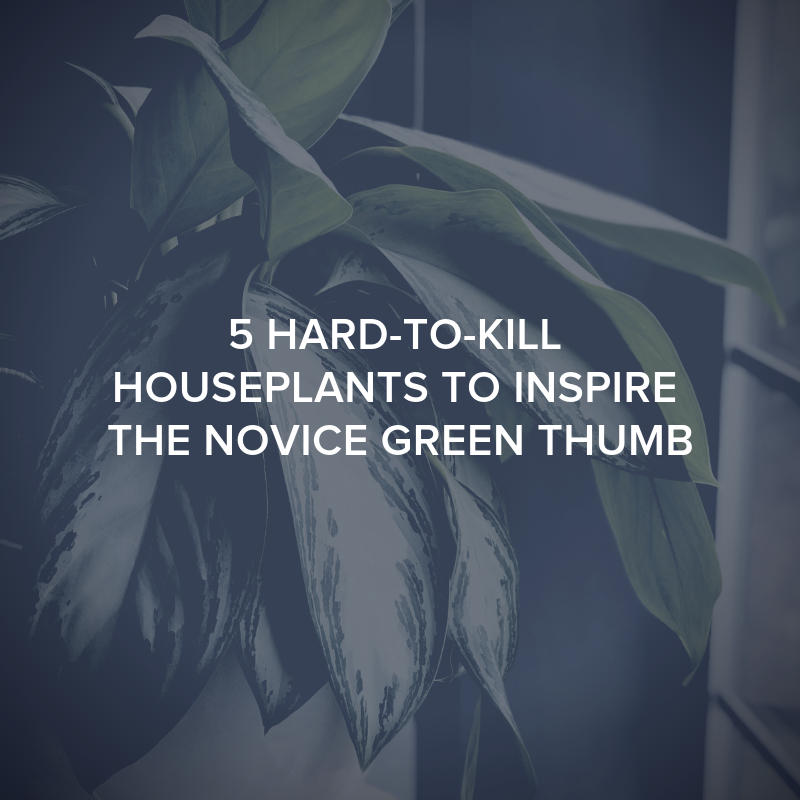 Thoughtfully placed in a corner, or centered at the family table, she casually places the plants to add a natural pop of color. 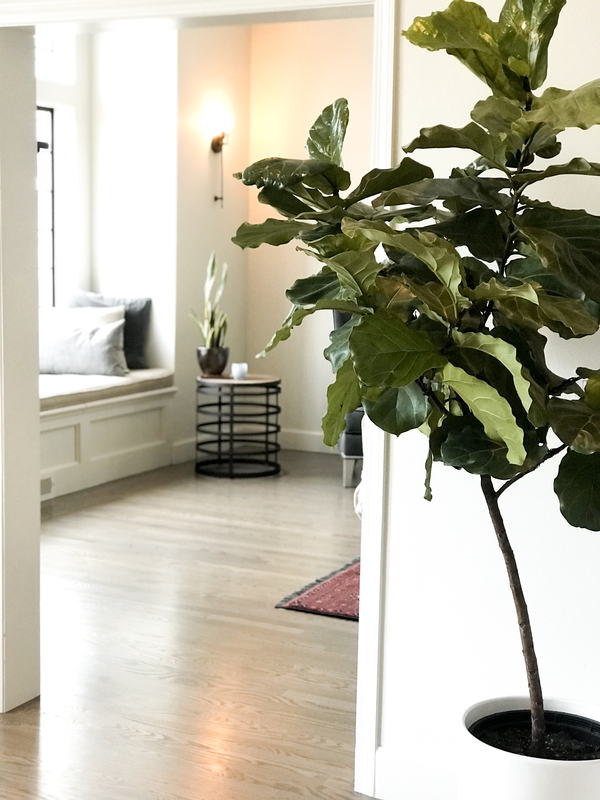 This is how I was introduced with my true obsession – the Fiddle Leaf Fig. It’s statuesque trunk and topiary head have become, to me, the ultimate prize. Before I could take on such an investment, I needed to prove I could properly care for a plant, and decided to start small. One Saturday I ventured into The Plant Shop. 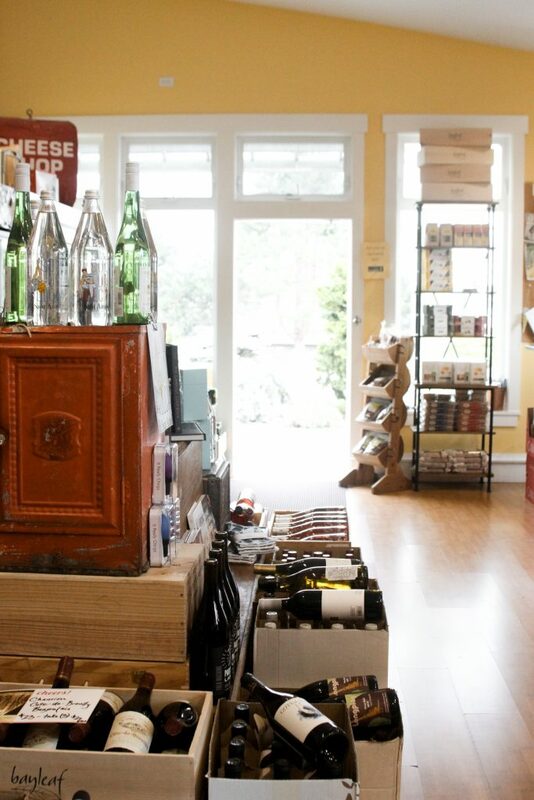 They have two shops in Seattle, both on Capitol Hill, as well as a beautiful interiors store called Homestead (warning: another bank breaker but a girl can swoon right?). 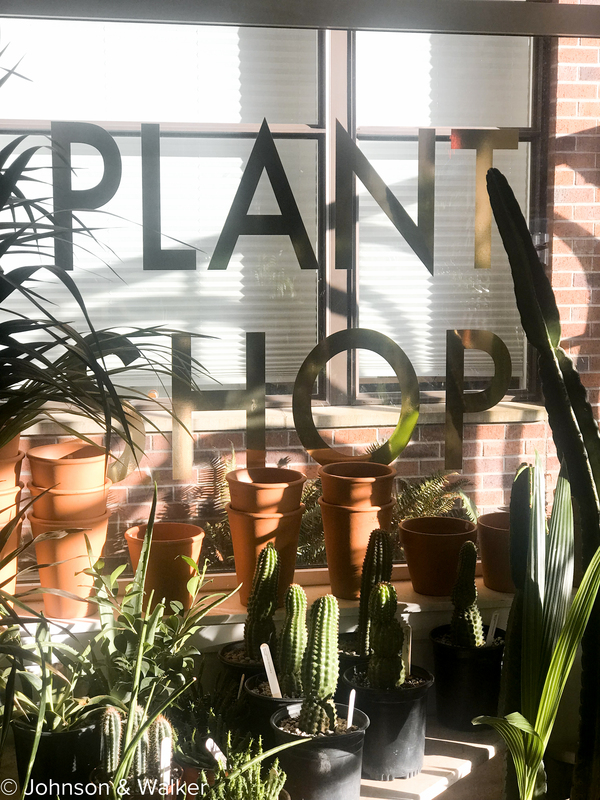 The Plant Shop boutiques are small in stature but their collections are lush and diverse, ranging from 2” succulents to the large 8’ palms, and of course everything in between beautifully styled and fresh for picking. 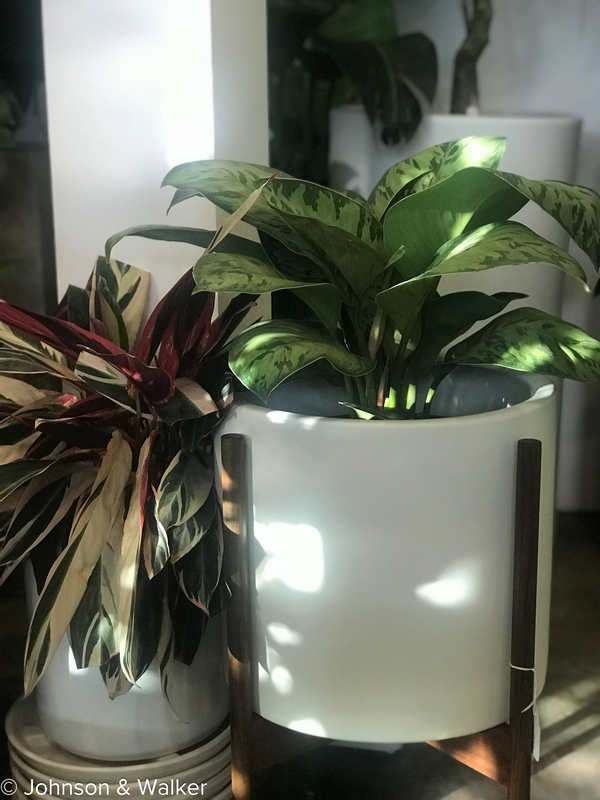 To accent their vegetation they have created a collection of custom cylinder pots in a varying range of colors and sizes that are simple, sleek, and modern. 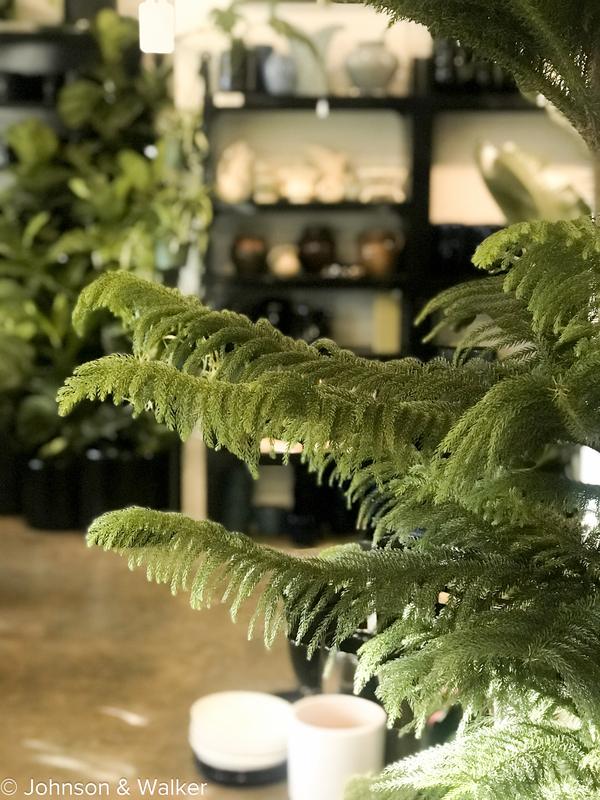 The staff at the Plant Shop are incredibly friendly and will coach you through proper care of your first foliage. I knew as soon as I entered the boutique that it was the perfect place to start. 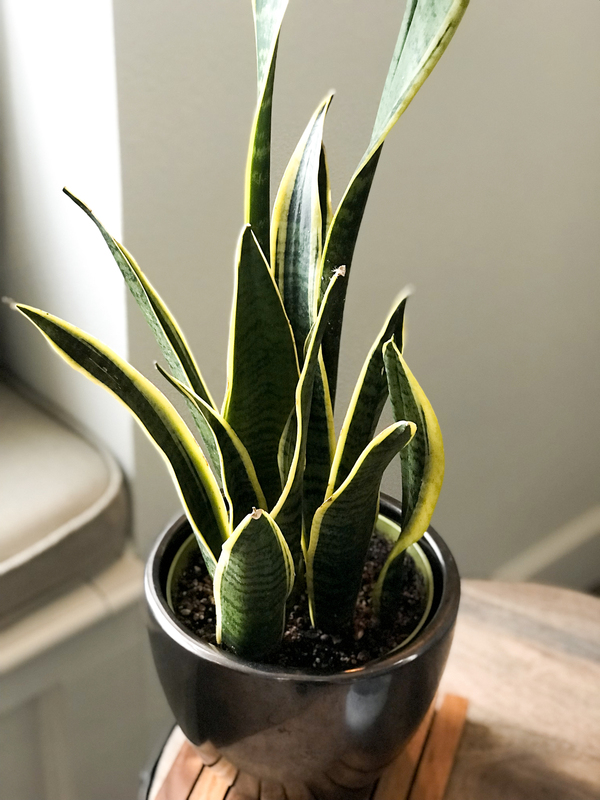 Snake Plant (aka Mother in Law’s Tongue): super low maintenance, loves to be tight fitted in their pot, only needs watering twice in the winter and the best part is they absorb carbon dioxide. 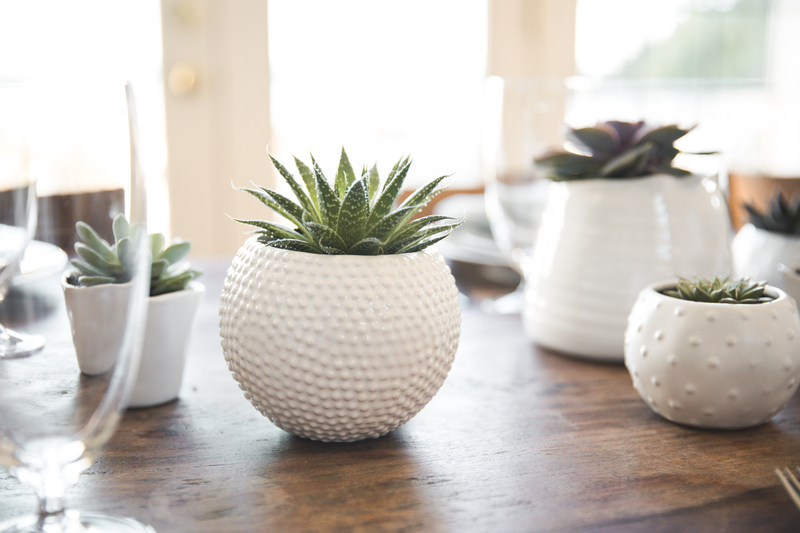 Succulents: these sweet and fragile plants are meant for the desert. Meaning if you don’t water it for weeks, they will be happy. I love the simplicity of their look and often use them as a centerpiece for our dining room table. 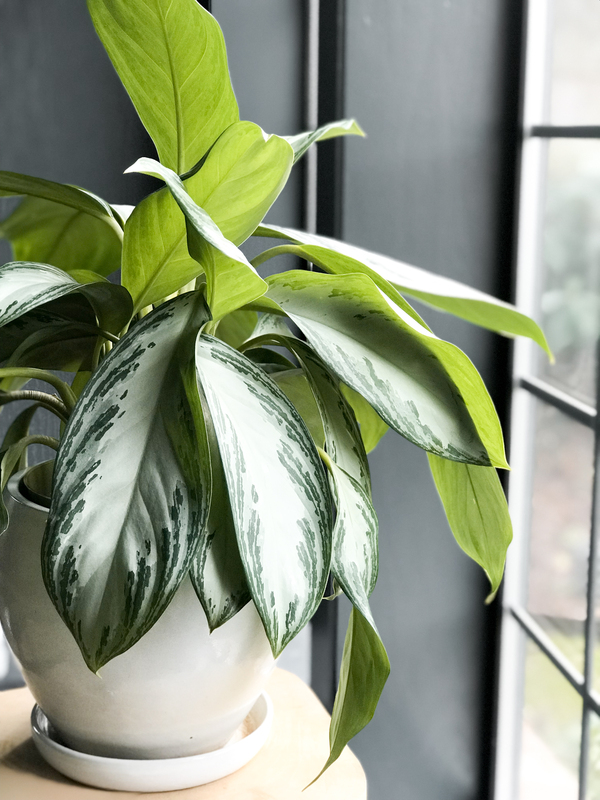 Chinese Evergreen: Easy to grow and very tolerant. I love the patterned color of the leaves. 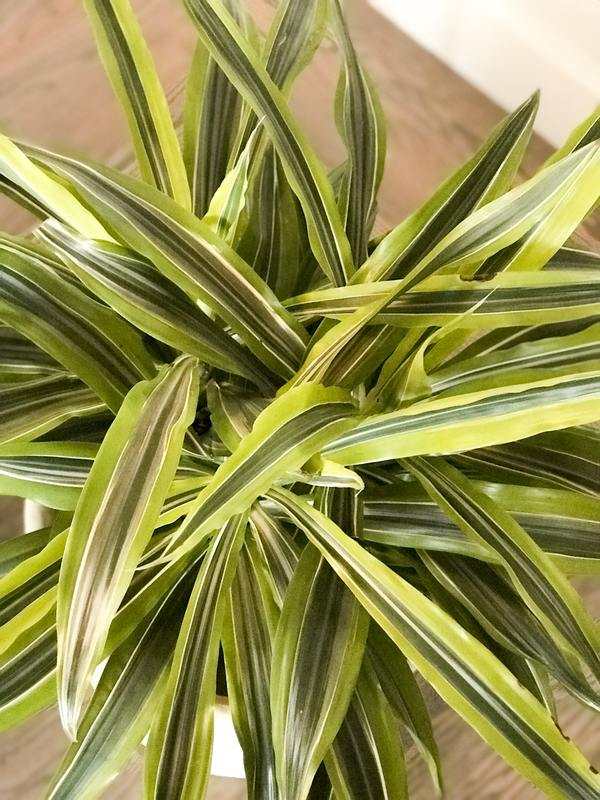 Lemon Lime Variegated Dracaena: I love the bright stripes of the leaves and the fullness of the plant. For more inspiration, check out our Pinterest Board on all things foliage related. Remember: start small, with just a few to ensure you get the hang of it, and then graduate yourself to larger, broader vegetation. While I’m no where near an expert, feel free to email me with questions on how to get started. I’m now 9 months into my new passion and brought this beauty home for the New Year! Whidbey Island has long been the go-to weekend destination for the people of the Pacific Northwest. 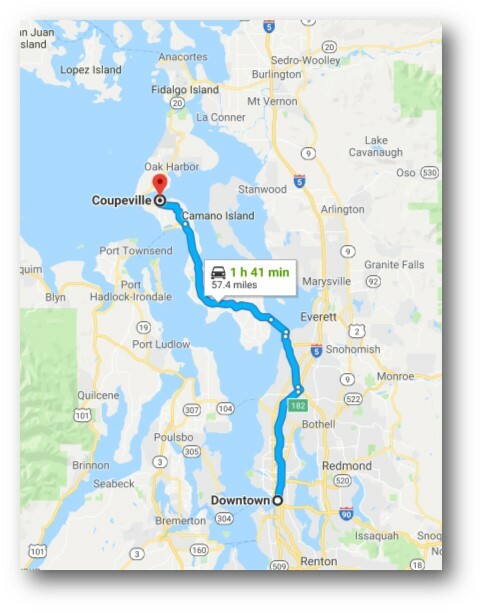 With a short 30 minute ferry line and bountiful beaches, quite a few Seattleites have established second homes around the island. 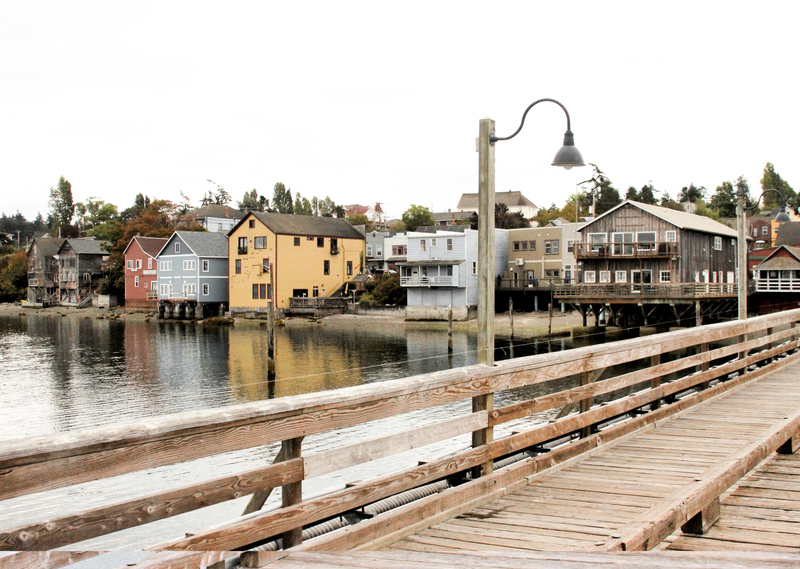 While most day-trippers stop at the town of Langley, heading north just 25 more miles lands you in the quaint town of Coupeville. 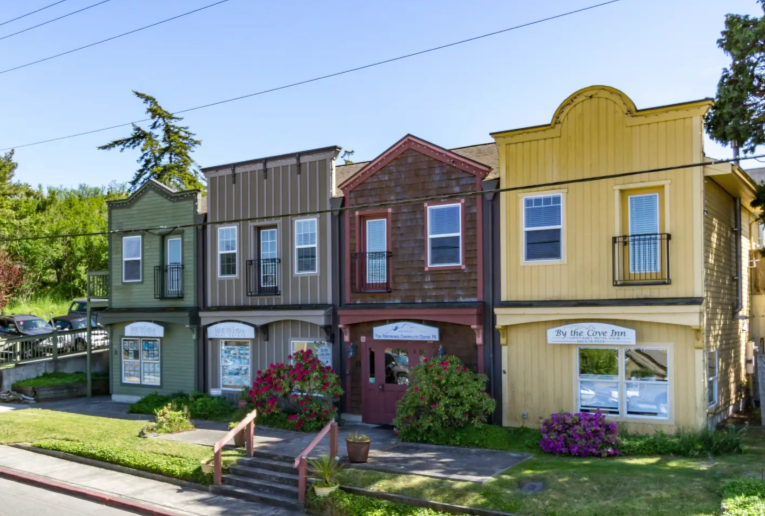 Nestled along Penn Cove, this small town village is deep in history as our second oldest town in Washington State. 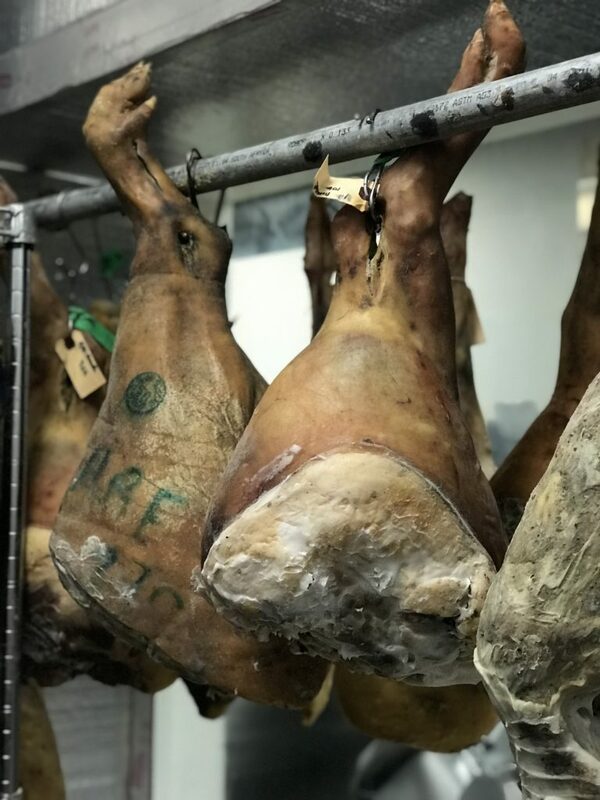 With restaurants, shops, activities and a farmer’s market, this town is prime for adventure and discovery, all in one day trip. So join us in exploring this quaint little town. 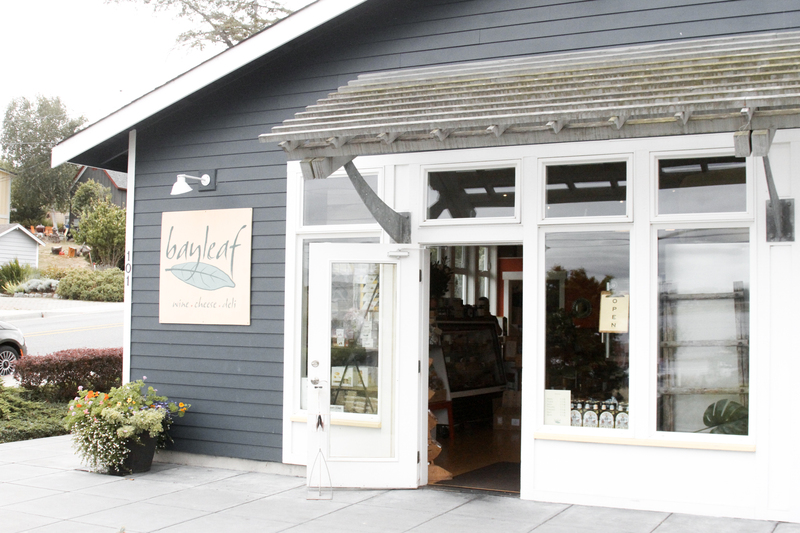 1) Start at Bayleaf (Wine & Cheese Shop) to pack a snack to go in case you get hungry on your adventure (kayaking, walking, hiking, etc). They have a beautiful selection of wines to choose from. 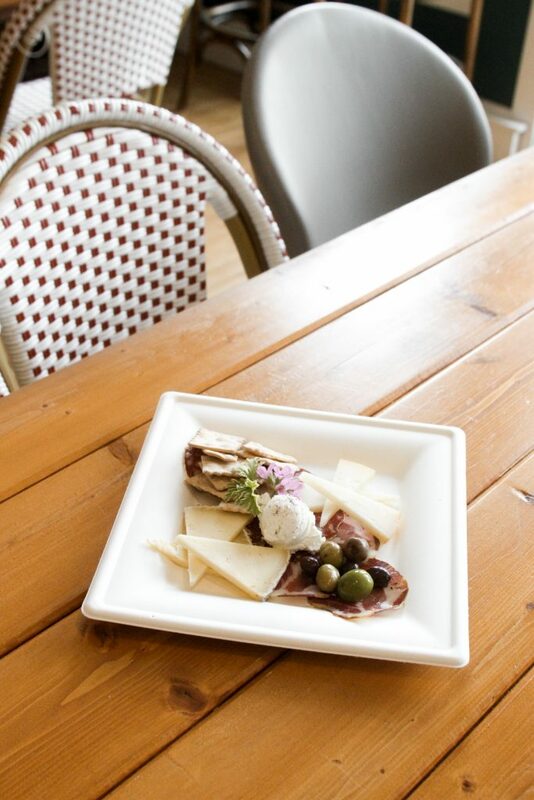 We recommend ordering the picnic platter because it includes the perfect snack size selection of meats and cheeses. 2) After you have collected your snack and picked up a bottle of wine, next walk down the long dock at the waterfront to the Coupeville Wharf and stop for coffee at the Salty Mug. 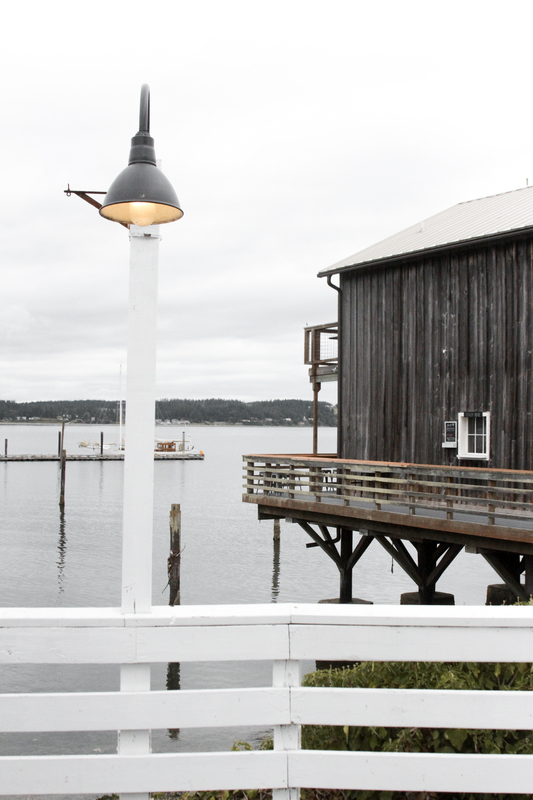 3) Next, consider renting a kayak from Harbor Gift and Kayak to explore Penn Cove and the harbor seals. 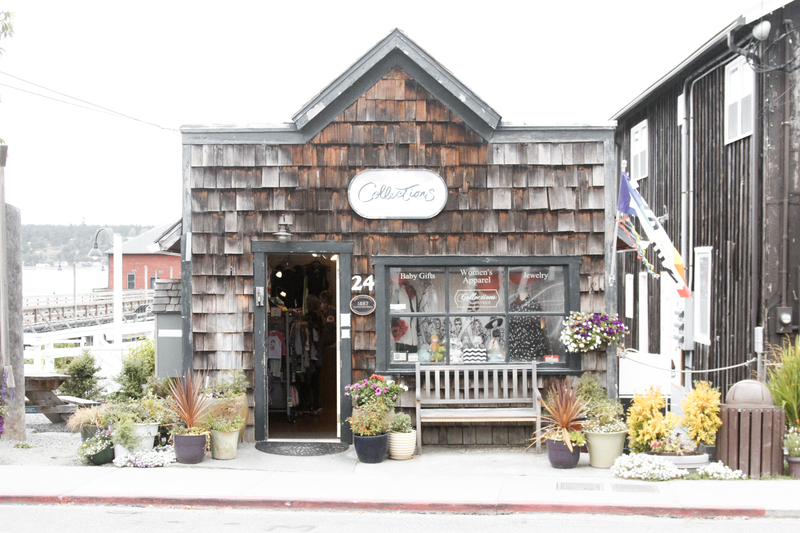 4) When it’s time to rest your arm, walk through town and browse the gift shops including our favorite Collections Boutique. 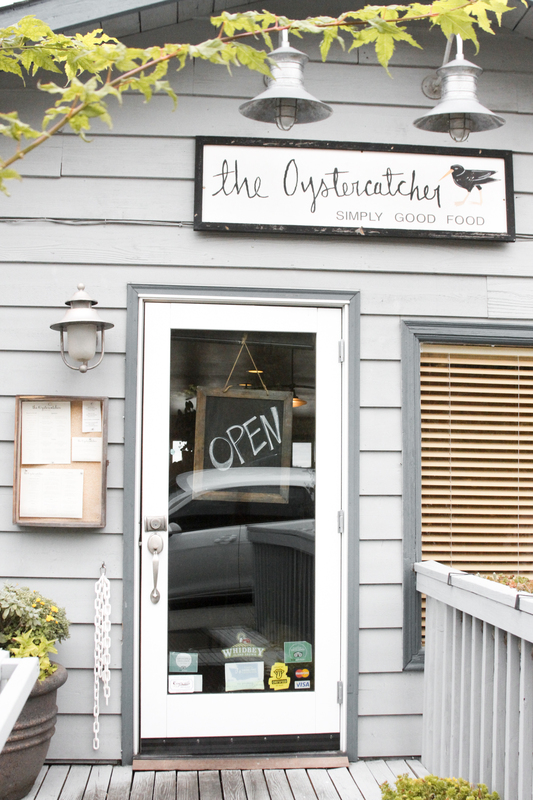 5) Lastly, when your belly is ready to replenish consider enjoying dinner at The Oystercatcher, where they feature fresh local food including oysters, of course. 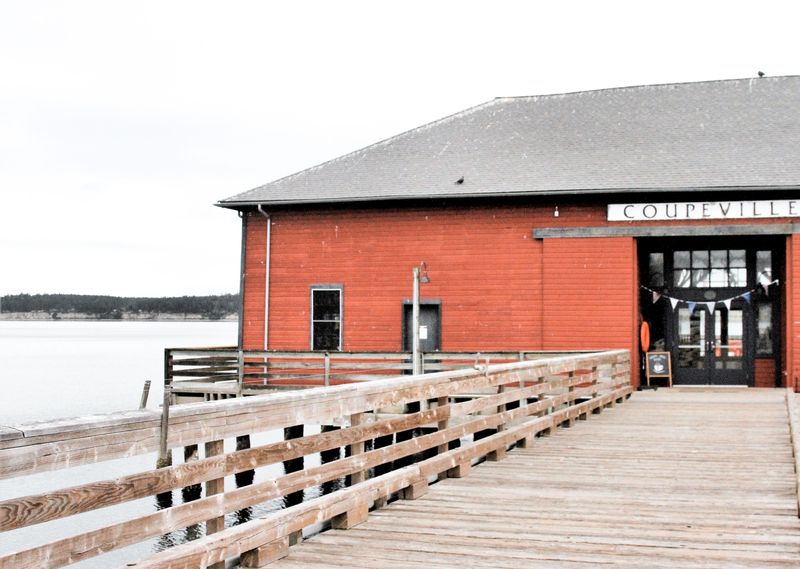 With only a 2 hour jaunt over, a day trip to Coupeville is well worth the adventure!